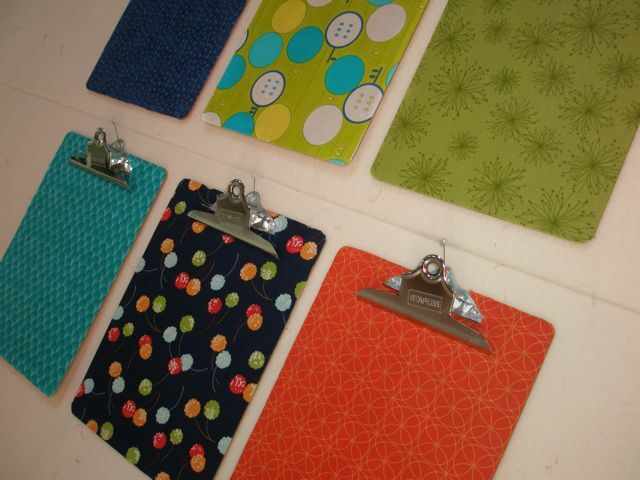 I recently pinned a cute crafty idea from Melanie Dramatic on Pinterest for some fabric covered clipboards. Then I got two graduation announcements and wondered about gifts–and the lightbulb went off. I could make some cute clipboards!